The diagnosis is one that a family never wants to hear: Your father has Alzheimer's disease. Your mother has stroke-related dementia. A recently released study, included in a special supplement to the Journal of Gerontology, indicates that dementia's impact might be compressing a bit. That is, people might be developing dementia later and living with it for a shorter period of time. 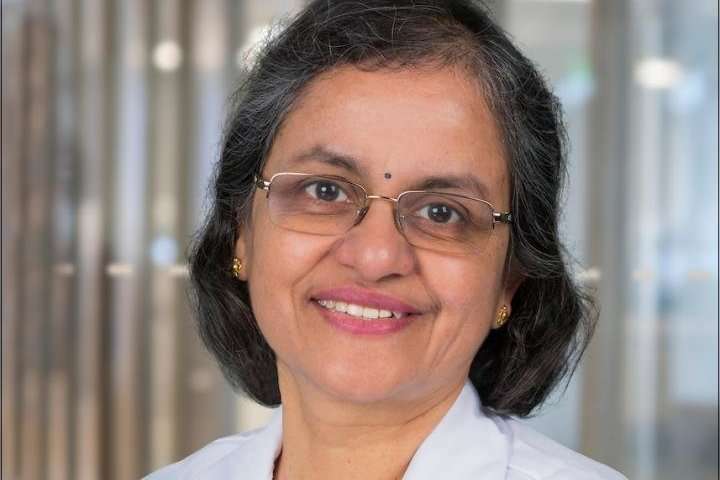 Sudha Seshadri, M.D., professor of neurology and founding director of the Glenn Biggs Institute for Alzheimer's & Neurodegenerative Diseases at UT Health San Antonio, is the senior author on the study, which draws evidence from the Framingham Heart Study. In data from four different time periods over a period of 30 years, the mean age at dementia onset increased, while the length of time living with dementia decreased. Is it because prevention and care of stroke today is superior compared to decades ago? Stroke is a major risk factor for dementia. "Prevention of stroke and reduced impact of stroke are great advances, but neither completely explains the trend we are seeing," Dr. Seshadri said. "We are looking at other causes, such as lower burden of multiple infections because of vaccination, and possibly lower levels of lead or other pollutants in the atmosphere. Early education and nutrition might also play a role." Stroke risk has decreased because of greater control of blood pressure. Dr. Seshadri again cited Framingham data: "In the past, if you had a stroke you were at 90 percent greater risk to develop dementia. Today, you have a 40 percent greater risk," she said.